Nothing screams fun more than a giant slide. Make it fit your event theme, choose from hundreds of banners to customize your slide. 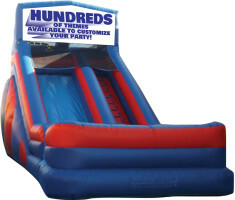 Your guests will have a blast as they sly down this slide tailored to your special event.